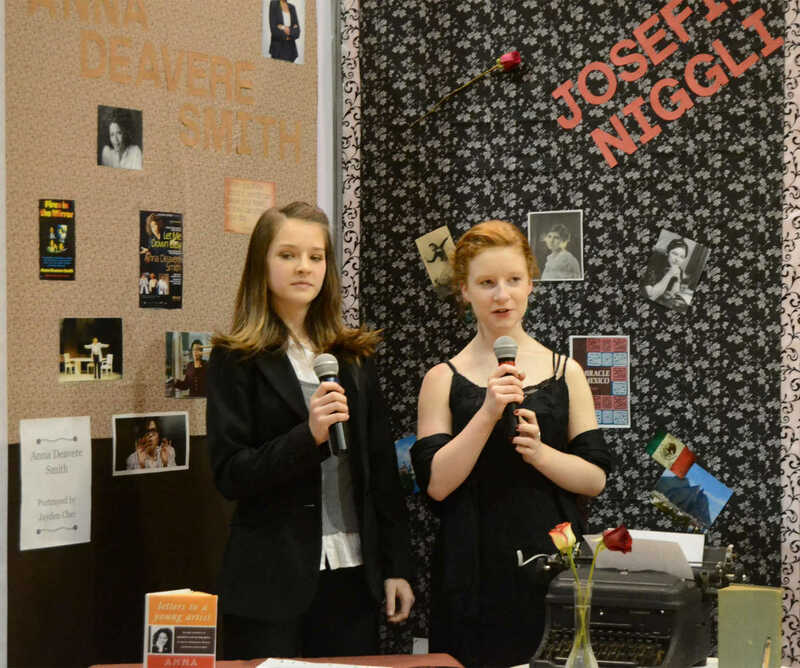 Jayden Chei and Kaitlyn Hogan portray Anna Deavere Smith and Josefina Niggli, respectively, at the Wax Museum on Tuesday. 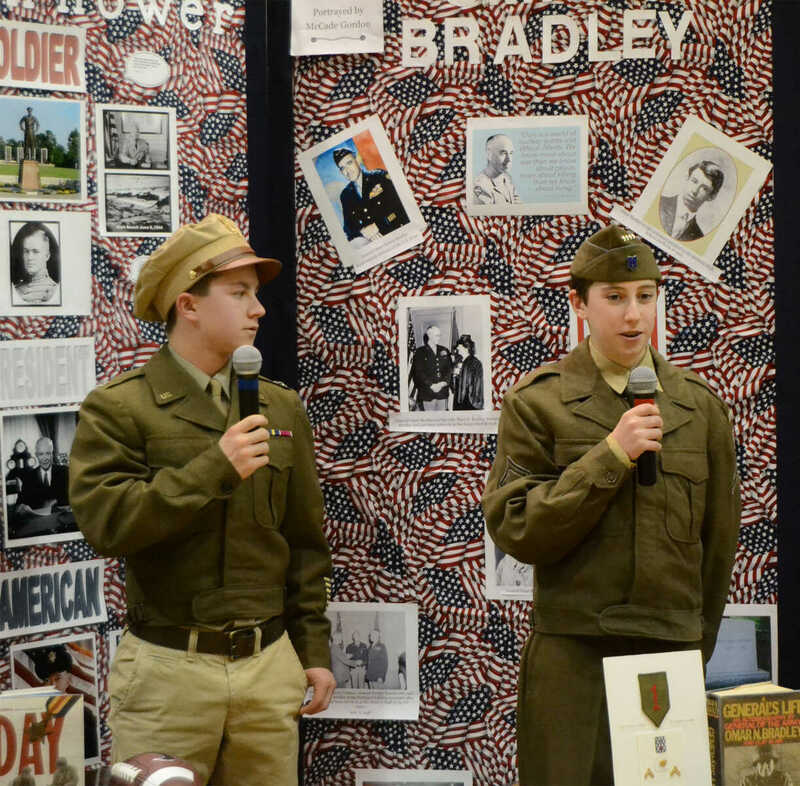 Branden Harder and McCade Gordon portray Dwight D. Eisenhower and Omar Bradley, respectively, at the Wax Museum on Tuesday. 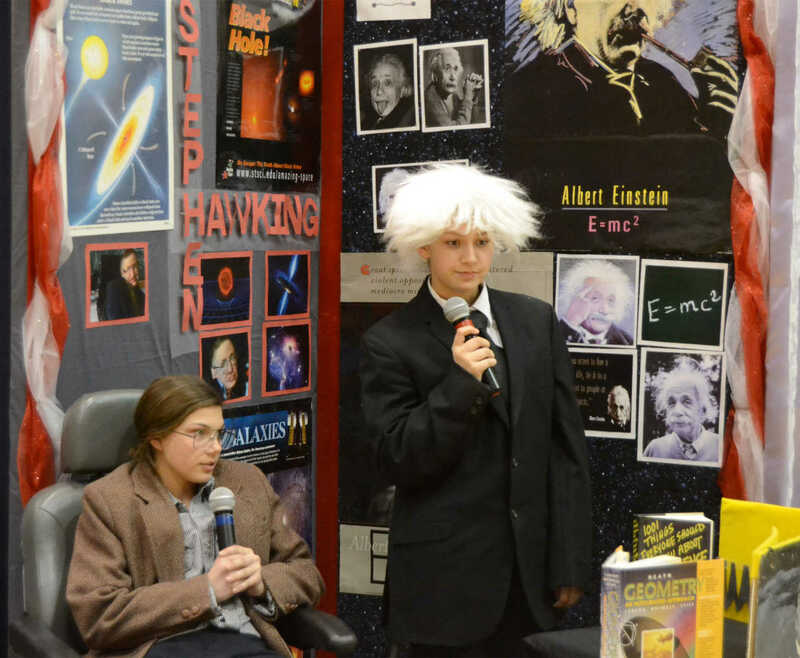 Sammy Gundy and Makayla Haner portray Stephen Hawking and Albert Einstein, respectively, at the Wax Museum on Tuesday. 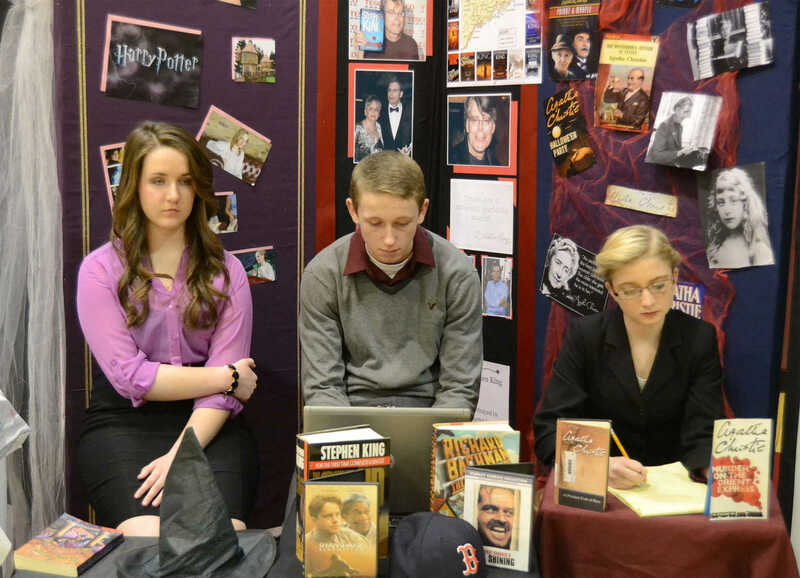 Lily Quitno, Hunter Mason and Haley Toland pose as JK Rowling, Stephen King and Agatha Christie, respectively, at the Wax Museum on Tuesday. 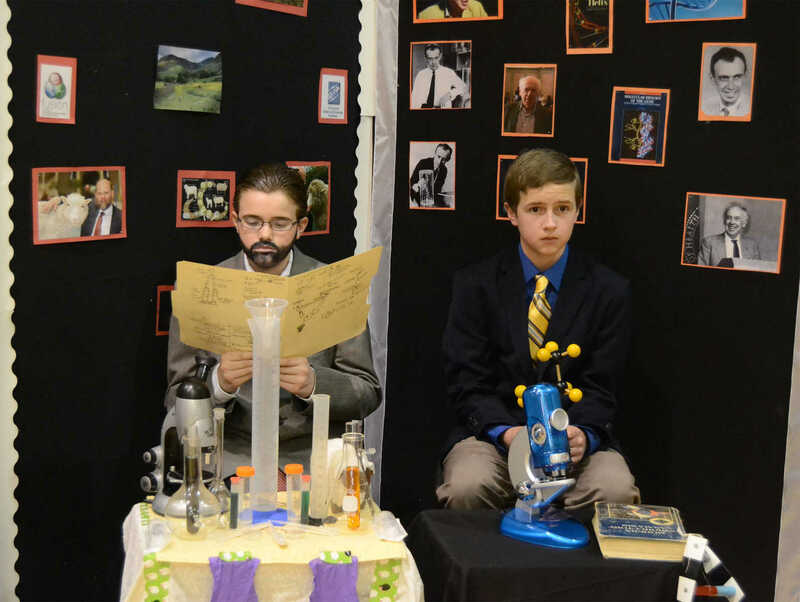 Johnathan Portwood and Paxton Dahmer pose as Ian Wilmut and James Watson, respectively, at the Wax Museum on Tuesday.